Lack of urine control is a very serious matter. It usually happens among women who have weak pelvic floor muscles and for men who have previously undergone prostate surgery.It’s not only an issue of wetness since incontinence has a great impact on self esteem and ego because you have no control over something as personal as urination. After all, who wants to get wet even before reaching the bathroom? Most doctors will advise drugs, diapers and even surgery. But alternative medicine will strongly go against them. 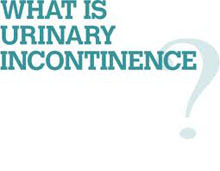 In fact, the above mentioned are the last resort to urinary incontinence. “There is always a better and natural way”, as they say. Did you know that caffeine in coffee, chocolates and tea can irritate the bladder and therefore stimulates urination. Aside from them being a diuretic, meaning it makes the body produce more urine. If these stuff are one of your favorites, better cut on them gradually and observe the frequency of the urge to urinate. Also, would you agree that drinking more water usually helps control incontinence? Sounds ironic but true. We might think that less water intake means less urine. Contrary to this imagination, less water means more concentrated urine which irritated the bladder. One must still drink 8 glasses per day but not on a one time basis. And must also abstain from drinking at least 3 hours before bedtime.And there’s the famous Kegels exercise that can be done anytime anywhere. Named after a certain gynecologist back in the 1940’s, this simple and silent exercise has been found to be effective not only for pregnant mothers but also for the urinary incontinent people. How to do it? Simply contract your pelvic muscles like holding urine. You would feel a lift and must not contract the abdomen. Breath normally and regularly while holding it for 10 seconds (just like what I’m doing now!). It must be done at least 15 times in a row, 3x a day or 45 Kegels a day. The only problem with this is compliance. It may sound like a simple exercise but people don’t usually do it. Again, it’s always good to try alternative ways to solve health problems like this. If there is no improvement, then you may succumb to conventional treatment.